You could think of these courgette fritters as a Turkish take on Luxembourg’s Gromperekichelcher. 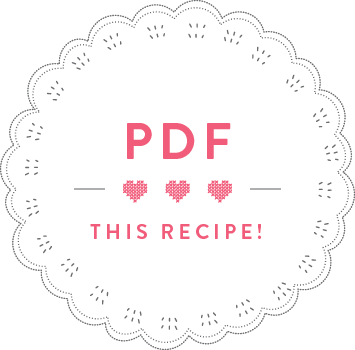 This recipe was given to me by Ayshea’s mum Hülya. Ayshea is half Turkish and the director of the Anne’s Kitchen TV show. It was largely thanks to her and to her valuable input that we decided to head to Istanbul for the second season. When I was researching a recipe for Turkish courgette fritters, Ayshea immediately directed me towards her mum, Hülya, insisting she makes the world’s best fritters. Hülya has also been teaching Turkish cooking classes in Luxembourg and this recipe is always very popular. 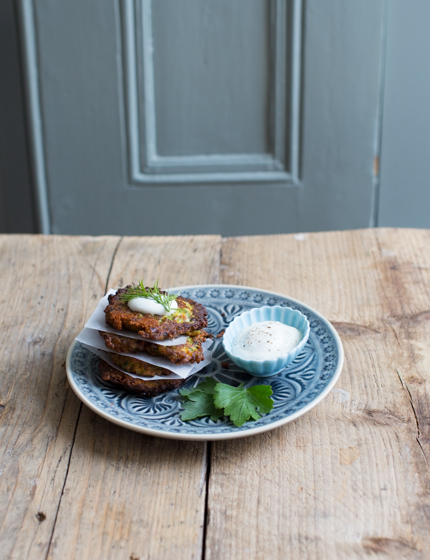 I’m eternally grateful that Hülya agreed to share her delicious recipe with me for this book, as these are indeed the best Turkish courgette fritters I have ever tasted! I made these courgette fritters in the third Istanbul episode of my show, you can watch it here. Wash the courgettes and finely grate. Put into a fine sieve, mix with ¼ tsp salt and leave to drain for 20 minutes. Meanwhile, peel and finely grate the carrots. Squeeze out any excess moisture with your hands and put into a large bowl. Wash, trim and finely chop the spring onions. Add to the bowl. Peel and finely chop the onion and add to the bowl, followed by the chopped dill and parsley. Finely crumble the feta into the bowl. After 20 minutes, squeeze out any excess moisture from the courgettes and add to the bowl. Then add the flour, egg, a bit of pepper, ¼ tsp salt and the chilli flakes and mix until everything is well incorporated. Pour enough olive oil into a pan so it covers the entire base. Heat the oil and test if the oil is hot enough by dropping in a tiny bit of batter – if it starts bubbling, you’re good to go. For 4 fritters, drop 4 tablespoons of the courgette mix into the pan. Flatten them slightly and fry on each side for 2 to 3 minutes. Remove from the pan and drain on a plate lined with kitchen paper. Proceed with the remaining batter. Just before serving, season the yoghurt with ¼ teaspoon of salt and pepper and serve each portion of courgette fritters with a dollop of yoghurt. TIP: If you buy a bunch of dill and end up with leftovers, you can finely chop it and freeze it in a freezer bag.